As the Q4 is closely coming to an end, you really have absolutely no more time to waste. We already mentioned that Q4 is the time to focus on the contacts that are most likely to become your customers and buy. 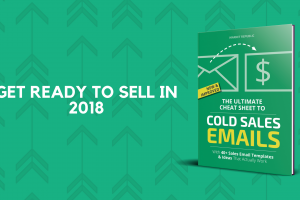 Sure, you can try your luck with cold leads, especially if you have a highly targeted list of contacts that perfectly fit your ideal customer profile (ICP), but the chances are far bigger with the ones you already contacted and have established some relationship with. So how do you know which contacts are the right ones? Of course, the best advice would be for you to just let the prospects talk and for you to listen. You can judge by their own story where the problem is and what solutions you can offer so they reach their goal. But some buyers are just not talkative or good at expressing their needs or they don’t really know what they want. This is where you as a salesperson come in. You will have to ask a few questions that will qualify them as a perfect opportunity. 1. What is the problem in your business that you need help with? In case you didn’t already research this prospect’s needs and they’re contacting you out of the blue, you will primarily have to know what their specific problem is and can you help them at all. If you notice that you cannot offer any services or products they need to fix their problem – it’s time to move on to the next one and save your time. 2. Why didn’t you solve the problem until now? There could be a number of reasons why this problem wasn’t solved before. Maybe they had a superior who didn’t care about it or thought it wasn’t particularly important. Maybe there was a market shift that urges the company to solve the problem now. Listen to their answer carefully and try to evaluate whether and what you can sell, should you sell it right away or if there is a better chance for sale in the future. 3. Have you tried to solve this problem before and why didn’t it work? This kind of question will give you a perfect insight into solutions that the company had or hadn’t tried before, how good was that solution and maybe how much they paid for it. By giving your own opinion on the whole situation, you’re positioning yourself as an expert in the industry who knows what it takes to solve the prospect’s problem. 4. What happens if you don’t solve this problem? Listen to their answer carefully. If they feel like their whole career is at stake and depends on them solving this problem – it’s a perfect opportunity for you to close. If you feel indifference in their answer, there’s a chance you won’t close and you’re only wasting your time on an indecisive prospect. 5. Do you have a budget for this offer? If not, when will you have a budget? This is the question you should never avoid. There is no use of negotiating and offering your help if the prospect just doesn’t have the budget (big enough) for your services. Keep them in the pipeline for some better times, but right now shift your focus to the ones who are ready to pay for what you have to offer. 6. How long does it take to assign a budget? A very important question that will show you whether you will close the deal in Q4 or not. If Q4 is your priority and the prospect needs a month of approval for this purchase, reschedule them for January and Q1. 7. Did you use any similar products or services? This question will give you a good insight into where you stand. Did they work with competition and was it satisfactory? Did they overpay or underpay for similar services? Can you offer something better? If so, don’t miss the opportunity to close by explaining how your services are better than the ones they’re already using. 8. Are there any other product or services you’re considering? This is also a good question to check your ground and see if there is any competition you should be aware of. This is your opportunity to lower the price, offer a discount or a tailor-made plan that will suit your prospect better. It is possible that they already decided on someone else and are just checking to see what’s out there. 9. What do you expect when purchasing our product or service? This is also a reality check. A lot of prospects don’t really know what they need and they can expect the impossible. Set your mutual goals right now, before it’s too late. Let them propose a goal and see if you can fulfill it. If you think that what they’re asking is too much for you, move on to the next prospect and contact the demanding one once you’re ready. 10. How does solving or not solving this problem affect you and your position in the company? Similar to the question „What happens if you don’t solve this problem?“, this will show you how much is at risk with this purchase. If they say that they might lose their job or title, it means they are very willing to buy. If the answer gravitates more towards „who cares“, then it’s better to leave disinterested prospect for some other time. If you believe the prospect is interested in your offer, but you didn’t close at that very call, try scheduling the next one ASAP. Don’t stall and don’t leave an open window for your competition to jump in. If they really are interested, they will be more than willing to schedule a meeting or a call. Don’t forget, all these questions are just an example. You surely shouldn’t copy-paste them, but adjust each and every one to your and your prospect’s needs. If you need any more help with closing in Q4 – let us know!